Saturday Night Live kicked off its eighteenth season with an episode hosted by Nicolas Cage and a performance by Bobby Brown. 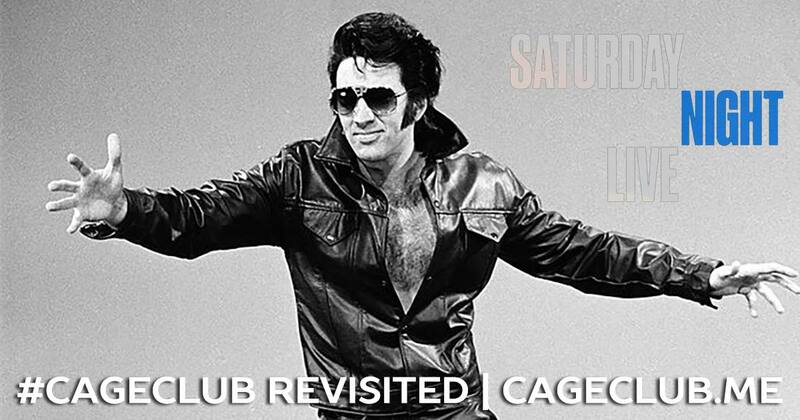 Cage isn’t in a ton of the sketches, but Tiny Elvis and Baby Names are all-time greats! This is a strange episode of #CageClub Revisited to listen to — if you can even find the original episode to watch along with us — but try to enjoy our trip down memory lane to revisit Tiny Elvis, Asswipe Johnson, and Jan Hooks as Hillary Clinton. If you want to hear our more insightful and in-depth podcast episode about Saturday Night Live, you can find that here.